Window coverings are one way to limit the amount of outside heat that enters your home during summer months. Some doorways may have tiny windows within the framework of the door or along the outside of the frame, while other doors, like the French Doors that remain so popular throughout the region, contain much larger windows that leave your home at an even greater risk of heat exposure. While natural light can be desirable, especially during summer, the sunlight entering your home is bringing heat with it and working against your air conditioning system as it works to keep you cool. With this in mind, awnings or overhangs atop your doorways, or blinds, draperies or reflective window films inside doorway windows, can work wonders in allowing sunlight to shine through without bringing heat inside with it. Awnings are said to reduce solar heat gain by 65 percent in north-facing windows and by 77 percent in west-facing windows. Simply cutting off the sun’s most direct access point into your home from above can allow light to shine through without unwanted solar heat. Blinds can reduce solar heat gain by more than 45 percent, and reflective window film can make a huge difference when installed on east- or west-facing windows. However, the film may also reduce the amount of natural light entering your home, and can require more regular care than an awning or set of blinds. Weatherizing your home is more than just keeping rainfall outside of your home. It may be the most important step in keeping cool air inside and hot air outside during summer months, which is why Doors of Elegance provides a weatherproofing service to keep your home as energy efficient as possible. The weatherization process includes adjusting strike plates, tightening or replacing hinges, replacing weather stripping or door bottoms, and adjusting or even replacing the threshold beneath your door. The goal of the weatherization process is to allow your door to open and close easily while also sealing tightly to keep outdoor weather from making its way indoors. The key, however, is knowing when to weatherize your door. A closed door should maintain an airtight seal, meaning any hints of light shining through or outside air escaping through are signs that your door needs weatherization. Refinishing your doors is the best way to keep them healthy as they endure Mother Nature’s most extreme tests, be they heat, wind or rainfall. Varnishing your doors will not only add a glossy look to the outside of your door, it will also form a seal to protect the wood underneath, which will reduce the frequency with which you must weatherize that door. The varnish is made out of drying oil, resin and solvent, and will not affect the color of your door at the expense of the protection it provides. 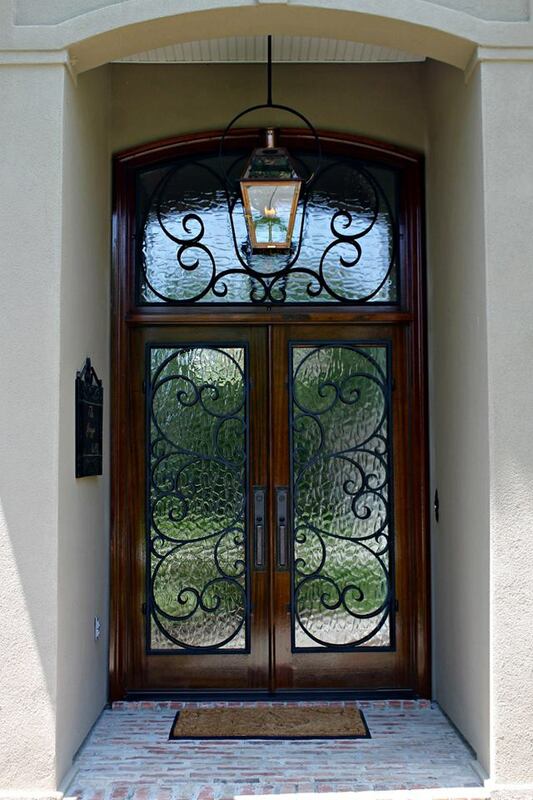 Doors of Elegance also provides painting, staining and varnishing services for its customers, appealing to their desire for a door that can stand up to weather and reduce energy costs while also maintaining a design fitting the home to which it belongs. Don’t let the summer months and hot weather make your air conditioning system work harder than it needs to. Contact Doors or Elegance for money saving techniques and ideas. We’ll help you enjoy a cool summer.